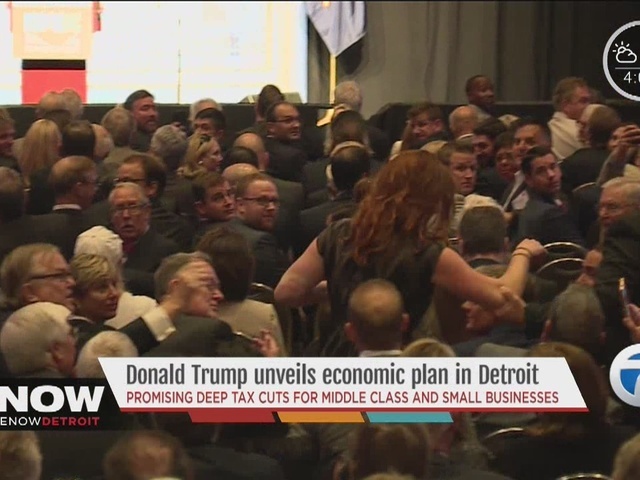 More than a dozen protestors were removed from Republican Presidential Candidate Donald Trump's speech to the Detroit Economic Club on Monday afternoon. One of the protestors was former State Rep. Rashida Tlaib. Tlaib is a Palestinian-American and a Muslim. She has been outspoken on Twitter against Trump, using the hashtag #MomsAgainstTrump multiple times. While crowds cheered when they were removed, Trump did not say much during the protests, instead keeping his focus on the speech. 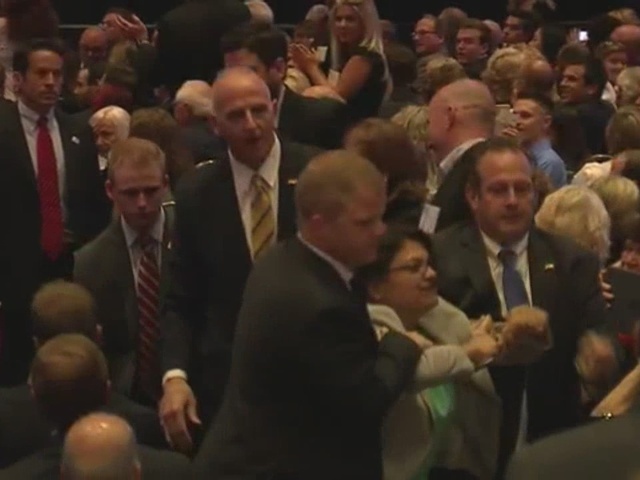 When he did comment on the protest, Trump said, "I will say the Bernie Sanders people had far more energy and spirit."